Sometimes when we think about dental health it’s a good idea to consider exactly what teeth are made of, this allows us to understand more about how our dental health is impacted by our habits and what we eat. 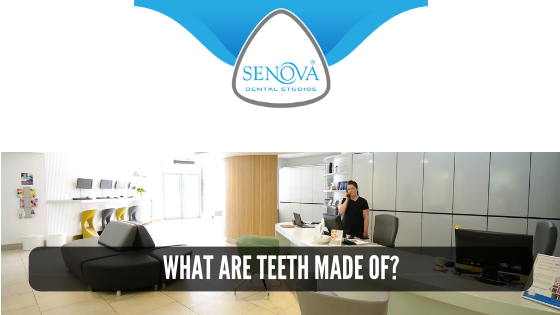 We going to break this blog post down into two sections, firstly we will look at the basic biology and an anatomy of the tooth, in the second section we will then look at how this anatomy can be compromised and what you can do to look after it. What are human teeth made of? The crown. This is the part above the gum which you see. The neck. This is the section of the tooth where the crown meets the root. The root. This is the section of the tooth which anchors it into the bone and it is not normally seen. The enamel. This is the hard outer layer of the tooth, it is the hardest substance in the human body. It protects the tooth and is 96% hydroxyapatite mineral, this is a crystalline form of calcium phosphate. The remaining 4% is made up of organic material and water. This highly mineralised content gives the enamel its characteristic quite/translucent appearance. The dentine. This is a slightly softer in part of the tooth surrounding the sensitive root canal which contains the nerve the blood supply. The dentine consists of 45% hydroxyapatite mineral with 33% organic material and 22% water. The organic material gives the dentine slightly yellow colour. The blood vessels and nerves. These are the living tissues in the tooth and feed the it keeping it alive, they also provide proprioception to your brain so that you can feel what is going on. The blood vessels are held in the dental pulp. The whole tooth is held in place by a soft cushioning mechanism called a periodontal ligament. Are teeth made of bone? No. In contrast to teeth which are made up primarily of the mineral hydroxyapatite, bone is mostly made of collagen and is a living growing test you. Collagen is a protein which gives the soft framework to the bone whilst calcium phosphate is the mineral which provides additional strength to this softer framework. It is the combination of collagen and calcium which provide the strength and flexibility of bones. Incisive biting, for example biting into an apple. The sharper and more knife like teeth are towards the front of the mouth, as we move towards the back of the mouth, where we are able to get far more pressure on them from grinding, they become larger so that we can distribute the pressure over a larger surface area, thereby making them more efficient. Back teeth also have much larger groups enabling us to put larger amounts of pressure to grind our food. Right at the back of our mouth we have wisdom teeth, in modern-day humans these seem to cause many problems, often being impacted. It is for this reason that wisdom teeth are often removed. There doesn’t seem to be any evidence to suggest that our more pointed canines are there to tear meet. In actual fact they are more likely to be a throwback to our ancestors millions of years ago. Why do I have black lines on my teeth? Poor oral hygiene. If the natural anatomy of your tooth has lines and bridges then these can fill with plaque, if this is not cleaned off regularly then it can become dark, particularly if you have habits such as eating very strongly coloured foods or smoking. The tooth dying. If the tooth dies then the blood supply is reduced and the tooth have a tendency to go black. Root canal treatment. A root canal treatment can sometimes cause the tooth to look darker than it did originally, this is because the blood supply will have been removed from inside the tooth. An old dental crown. Some dental crowns have metal inside them, towards the gum line this can begin to look black as the gum recedes during the natural ageing process. Clean your teeth twice per day (morning and evening). 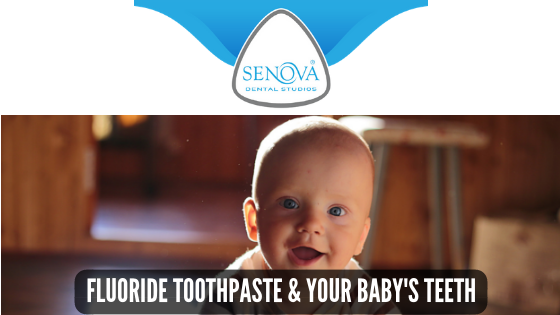 For adults use a pea sized amount of fluoride toothpaste. Clean in between your teeth once per day using either dental floss or an interdental brush or stick. Use a fluoride mouthwash after meals and never directly after cleaning your teeth. Mouthwash contains less fluoride and toothpaste, if you brush your teeth and then use mouthwash you will actually rinse off some of the helpful fluoride. Visit your dentist regularly. 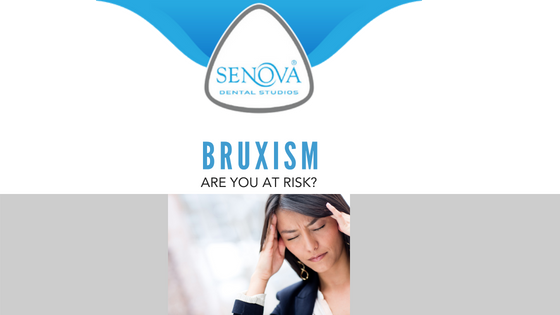 Your dentist is able to spot the very early warning signs of any dental disease, such as softening of the enamel in the pits and fissures of your teeth. You won’t be open to spot this yourself and if you leave these areas then decay can develop. Visit your hygienist regularly. Your dental hygienist will be able to clean your teeth on a regular basis and evaluate your own oral hygiene routine, making suggestions about how you could clean your teeth better. Why do humans have carnivorous teeth? In actual fact we don’t. Canines are usually considered the carnivorous teeth, yet some of the largest canines in the animal kingdom along to herbivores… Gorillas and hippopotami both have extremely large canines and yet are both herbivores. Canines are usually used in the animal kingdom for fighting and it’s probably this fact which means that modern-day humans still have slightly more pointed teeth as a throwback to our ancestors. Long canines have also been shown to be used by gorrillas as a display to fend off other gorillas… Something which humans don’t really need to do any more! What chemical element make up teeth? The enamel in a is the hardest part of the tooth, it is made of an extremely hard mineral called calcium phosphate. The enamel is relatively clear although it does have a slightly blue/grey tint. 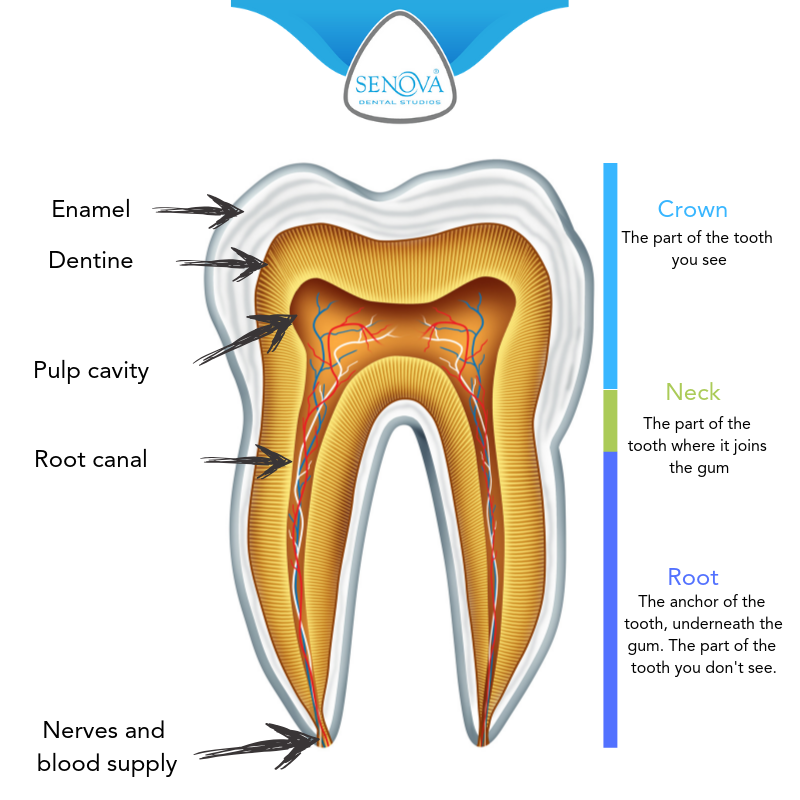 The dentine is a slightly softer layer underneath the enamel, This is the part of the tooth which gives it the most colour. the dentine is 45% mineral hydroxylapetite, 33% is organic material and the remaining 22% is water. The dentine is not as little as the enamel due to the reduced amount of mineralised content. The pulp is the inner part of the tooth, it is extremely soft and provides the living section of the tooth carrying the blood vessels. How does one stop and reverse the process of tooth decay? The process of tooth decay can only be reversed or stopped by removing the decay altogether and then filling the void with a hard wearing filling material. If you have tooth decay it is unfortunately not possible to reverse it at home as it will need to be removed and filled. The best thing you can do at home is to prevent the tooth decay in the first place by following good oral hygiene routine. Any good dental practice will understand that fees and prices are a major factor in the decision-making process by which dentist to visit. That’s why we have decided to tackle this issue head on, we hope that by the end of this blog post you will have more information about private dentist prices in the UK, why those fees and prices are as they are and how to make the best choice. What is included in treatment? X-rays. Always ask if x-rays are included in any treatment, particularly in a dental health assessment. Some practices offer an initial dental health consultation for new patients which do include x-rays, others don’t, so it’s important to find out beforehand. Follow-up appointments. After complex treatments you may need a series of follow up appointments, think about treatments such as dental implants or orthodontics. Does the fee includes all of these appointments? Retainers. When you have orthodontics you may need retainers after the treatment to ensure your teeth stay in a new position, some practices include a couple of retainers in the treatment fee whilst others include retainers for life. It’s important you find this information out before going ahead with treatment. Sedation. If you are particularly anxious or nervous and think you may require sedation then find out if this is included. Almost certainly inhalation sedation or intravenous sedation will not be included but it’s worth asking about oral sedation. 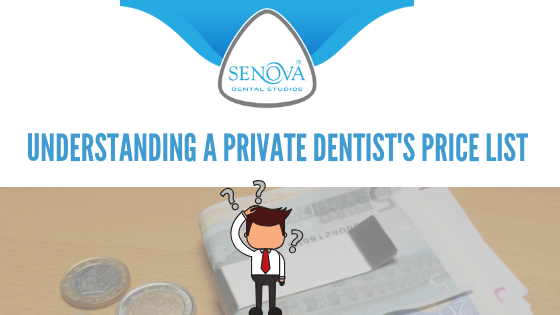 A good private dentist price list will include everything and not have any hidden extras. What are the best options for paying for dental fees? Paying for the entire treatment in one go and enjoying a small discount, often around 10%. Staged payment for each treatment, particularly useful for expensive treatments over a long period of time. Finance. Many practices offer 0% finance over one year and then interest-bearing finance thereafter. Membership plans. Practices offer membership in exchange for a monthly fee. The membership comes with certain benefits including discounted appointments and usually includes routine hygiene and dental appointments. Bupa Dental plans are also covered by some practices. Why choose a Private Dentist instead of an NHS dentist? Many people wonder what is the difference between NHS and private? NHS treatments typically cover the most basic level of care. An NHS dentist is actually still a Private dentist but has a contract to deliver a certain number of Units of Dental Activity (UDA) to the local primary care trust, in the bidding process each bidder for these UDA’s will place their bid, the trust will then decide which provider wins the contract. The contract will include the total number of UDA’s that must be delivered within the contract period. Each type of treatment has a different number of activities attributed to it. This is potentially an unstable system, if, towards the end of the contract period the dentist has not achieved the number of UDAs required then there may clawback where the local trust claws back any money paid to the dentist, on the face of it this seems fair but sometimes the target number of UDAs set by the trust is unachievably high, this can leave dentists in a very difficult situation, short of cash and then possibly unable to invest. The flipside to this is if patients come in which needed lots of treatment, in this scenario the dentist may use up their UDA allocation, no matter what treatments patients need the dentist will not be paid for them. This may result in dentists closing their books to NHS patients when the required number of UDAs have been delivered. Private dentistry avoids all of this. You get exactly what you need, when you need it! Because the amount that an NHS dentist often get paid for each unit of activity they have a tendency to want to keep treatment very basic and quick, this means treatments may not be as complex or personalised as private dental treatments. High-quality private treatments overcome this problem by giving the dentist the freedom to operate at whichever level they wish. Where can I get affordable dental treatment? Affordable treatment is, without doubt a touchy subject. It is also rather subjective. After all, what is affordable? Many people would be happy to spend £5000 on a new car or £2000 on holiday but would not want to spend the same amount of money on their teeth. Your teeth are used 24 hours a day, 365 days a year, they allow you to eat, smile and chew with confidence. Having great teeth is an investment in yourself! Having said that, there are ways to make dentistry more affordable. The advent of private membership plans has made dentistry much more affordable. These plans can bring complex treatments like dental implants or root canal work down by about 5%. Paying for treatments booked in advance can also pay dividends, dental practices can offer up to 10% discount for treatments booked in this fashion. Many practices also offer finance, this is often 0% if the entire treatment is paid off within a year. The key to finding affordable dental treatments is to speak to your dentist, don’t be afraid to let them know exactly how you feel, what your concerns are… This allows them to come up with the best price list and dental charges for you. The full cost of dental implants can often run into many thousands of pounds and it is for this reason that people seek cheap dental implants abroad. This article is dedicated to providing information and advice for those patients interested in dental tourism from the perspective of a UK dentist. What are the reasons Dental tourism occurs? With the NHS struggling to cover a wide variety of dental treatments it’s left to private dentistry to fill this gap. Cosmetic dental treatments and particularly dental implants are very rarely available on the NHS which means patients will need to pay the full rate for any treatment they have. Dental treatments in the UK can seem relatively inexpensive but this is mainly due to the fact we are used to paying virtually nothing on the NHS. With anything we buy we are always looking for value, so if we purchased a brand new BMW car for £5,000 that would be excellent value and most people might jump at the chance. Equally a brand new 5 bedroom house for £30,000 would be excellent value and again many would purchase due to the extreme value offered. So it’s not about the definitive amount, rather the value that can be achieved from spending this amount. Dental implant prices often begin much lower than £5000 but could approach £30,000 for a full set of dental implants. A car will almost certainly wear out after a few years, and we don’t even use a car 24 hours a day. A new set of teeth supported on dental implants are used all day everyday and will certainly last much longer than a car making them good value. Unfortunately this value is not always fully recognised and people seek to have the cheapest dental implants possible… Which often means not such good value! Why are dental implants are expensive in the UK? Initial consultation. 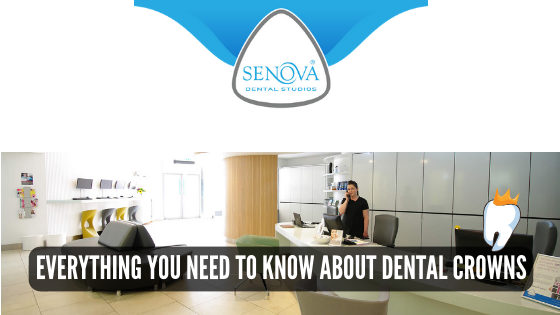 Your dentist will want to have an initial consultation with you, this may involve CT scans, x-rays and consultations with more specialised dentists. Prior to this detailed dental initial consultation some practices may offer a free consultation . Planning. Once you have decided to go ahead a full and detailed treatment plan will have to be done, this is very often provided by a dental laboratory in conjunction with the dental implant surgeon. With the highest quality comes the ability to use computer assisted diagnostics and planning, this means the dental implant is placed in exactly the right place and avoidance all of the vital nerves and blood vessels supplying your teeth. Dental implant placement. After the planning stage the placement will go ahead, this will often involve the whole team including nurses, surgeons, dentists and technicians. The dental implant surgery. As well as providing the practical skills your dental implant will be placed in a sterile surgical environment, as you may know this kind of facility is very expensive to run and maintain. Dental implant training. Of course you will want to know that the person placing your dental implant has had the best training and continues to do so, the training courses for dental implants can be very expensive and will need to be undertaken by all of the dental professionals involved. The dental implant itself. The dental implant itself will be made from high-grade medical titanium, implants are very often computer milled meaning they have tolerances of a few microns. The trans-mucosal element. This is an abutment which connects the dental implant itself to your final restoration, this could either be a Crown, Bridge or denture. The restoration. This is the only part of the dental implant you will actually see a it is the part that provides your new smile and enables you to eat and chew again with confidence. Post operative care. After the implant is placed there will be a time of healing during which you will need to visit the dentist a few times. As you can see, there are many elements which make up the price of the dental implant, if any of these are compromised in order to provide a cheaper dental implant than the value of the implant may be reduced and you may not receive the quality of service you expect, or indeed receive the most cost-effective treatment. What experience do you have? 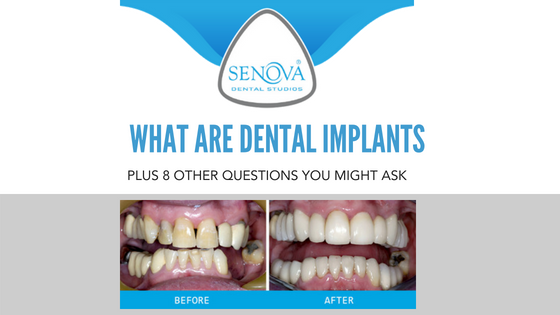 Ask how many dental implants they have placed in the previous year, this will give you an idea of the level of experience. What do your patients say about you? Ask to see reviews by current patients, look for reviews specifically by patients that have had dental implants. What dental implant system do you use? Whilst we don’t expect you to have heard of the dental implant systems if you know which system your dentist is using you will be able to do further research. Ensure that the implant system used is one of the major brands and not a cheap copy. What are your qualifications? In the UK we have a list of dental specialists, these specialists have additional Masters level training. Some dentist also have additional training at postgraduate level in order to place dental implants. What a professional bodies do you belong to? Ask about voluntary and compulsory membership. In the UK dentists have two comply with the Care Quality Commission and the General Dental Council regulations and are regularly audited. A foreign dental clinic may only have voluntary membership or comply to voluntary schemes this may not be as high standard as the compulsory ones in the UK. What other options are there? If your dentist only offers you dental implants you may like to consider the possibility that they are not seeing the bigger picture. There are other alternatives such as bridges, dentures and sometimes doing nothing may be the best option. There are often many ways to save on a full mouth reconstruction. It’s not always necessary to place multiple dental implants. Modern techniques such as All-on-4 allow your dentist place only 4 dental implants and then placed either a fixed bridge or removable denture over the top. Dentures are often a cheaper option and can provide a good way to save on full mouth reconstructions. Most dental practices really do appreciate that UK dental work can be relatively expensive, to help finance options are often available, similar to when you purchase a car. Please do let your dental practice know that you would like to find out about finance options and making treatment more affordable, there are very often ways that they can help. So don’t forget, being prepared to be open about the cost with the UK dentist may be the best option rather than travel abroad for dental implants, in order to ensure high-quality treatment. There are a whole plethora of different techniques to whiten teeth, some of them available from your dentist, others not… Some of them work, whilst others have a more dubious background. These are the different types of teeth whitening that many people search for online. The best teeth whitening kits available of those available from your dentist. But why is this so? Teeth whitening at the dentist uses a higher concentration peroxide gel which is only available on prescription from a dentist. This peroxide whitening gel will whiten your teeth faster and lighter than any other whitening kit or system. 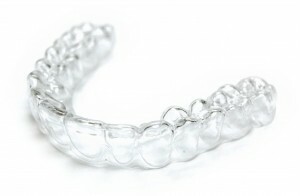 Your dentist will also make highly customised whitening trays into which the gel in placed. These trays will be customised to fit your mouth precisely and ensure there is a seal around the tooth/gum margin. This seal prevents the gel from touching your delicate gums and ensures it stays on your teeth. Teeth whitening strips are available from many places online, they can work in some cases but because the level of peroxide will be limited its whitening ability will also be reduced. One must also be very careful to keep the strips solely on the teeth and not have too much of them on the delicate gum area. Rather than use peroxide to remove the microscopic staining within your teeth some dental practices use lasers. Later teeth whitening can work extremely effectively to whitening your teeth in one appointment. For this reason laser teeth whitening is often used as a rapid teeth whitening system but because of the high level investment required is often more expensive than other forms of whitening. The Oral Health Foundation took a look into the effectiveness and safety of charcoal tooth whitening toothpastes and have since suggested that there is very little evidence to suggest that charcoal teeth whitening works. Whilst this may be increasingly popular as an alternative (and possibly cheaper option) to conventional teeth whitening at the dentist you may find it’s a complete waste of money if nothing happens at all. At the very worst, The Oral Health Foundation found that the charcoal whitening toothpastes may actually be harmful as they do not contain sufficient levels of fluoride which is used to prevent tooth decay. Whilst you may see celebrities endorsing charcoal teeth whitening, one would need to question whether they have actually had professional dentist teeth whitening prior to their endorsement. We will leave this firmly in the same description as charcoal teeth whitening. There is no evidence to suggest that coconut teeth whitening works and indeed, it may be harmful as many of the toothpastes do not contain adequate levels of fluoride. Conventional over-the-counter teeth whitening toothpastes can lighten teeth slightly. They often do this by being more abrasive than regular toothpastes thereby being able to remove more surface stain. Teeth whitening toothpastes do not contain enough peroxide to be able to whiten teeth as much as regular whitening at the dentist. Whenever using a whitening toothpaste we always recommend ensuring that it has at least 1350-1500 ppm (parts per million) of fluoride. Amalgam/silver coloured fillings are becoming less and less popular in the UK, Our experience is that patients are becoming more concerned about the biocompatibility of the mercury in the fillings as well as the cosmetic appearance of them. So what alternatives are there? Our Watford dentist takes a brief look at the different types of fillings and discusses your alternatives. What are the different types of dental filling? Both of these types of fillings are not used anywhere near as much in the UK as they used to be, gold is used less now because of its cost and appearance, whilst some people like the gold colour, many people prefer something more cosmetic and less obvious. Amalgam fillings are a mixture of mercury, copper, tin and other trace metals. These tooth coloured fillings are made directly in your mouth by the dentist. The procedure is for the dentist to remove any decayed tooth structure, the clean cavity wall then be prepared with the bonding agent. Composite resin is a tooth coloured putty like material which the dentist applies to the cavity. Once the resin has been sculpted to the correct shape to match with the surrounding tooth structure it is then set hard with a high-powered light. Tooth coloured composite fillings can also be used in the front teeth, not only to fill them after decay but to provide a better shaped tooth. Tooth coloured composite fillings typically take about 45 minutes to do and can usually be completed in a single appointment. Ceramic fillings are more commonly called inlays. 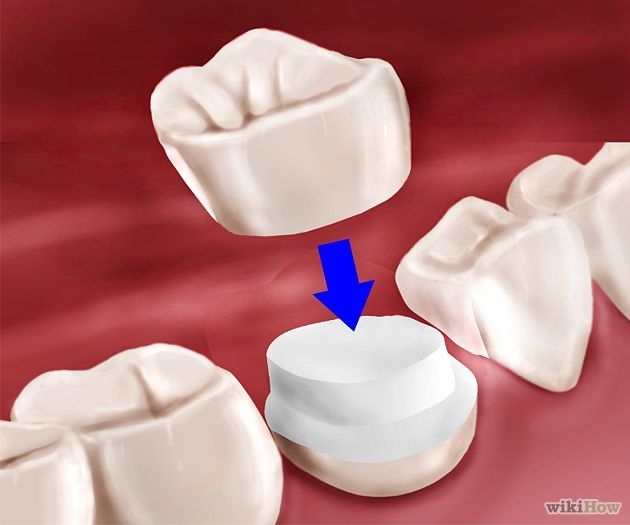 The porcelain/ceramic inlay procedure Is for the dentist to remove the decayed tooth structure, once all of the decay has been removed the cavity will be cleaned out and an impression taken. You will then be fitted with a temporary filling. The impression of the tooth, which will include surrounding teeth and opposing teeth will then be sent to a dental laboratory. A dental technician will then manufacture the ceramic inlay to exactly match the colour and morphology of the surrounding tooth. Between 1& 2 weeks later the dental laboratory will return the inlay to the dentist. The dentist will remove the temporary filling and ensure that the new ceramic inlay fits perfectly. Once you are happy that the ceramic inlay feels and looks good the dentist will permanently bond it in using a light cured composite resin. Ceramic inlays typically take 2 weeks from start to finish and will always require 2 appointments. Porcelain and ceramic in the context of dentistry are exactly the same thing and are two terms to describe the same material. Should I have amalgam fillings removed? The filling is leaking. This can lead to decay underneath the filling. The surrounding tooth structure has broken. Amalgam fillings can also be removed for cosmetic reasons. What about exposure to mercury? Exposure to mercury with an amalgam filling is highest whilst they are being placed or removed. This is one of the main reasons why your dentist will probably suggest that amalgam fillings should be left alone unless there are underlying clinical reasons for removal. As you can see, the primary decision is around whether you have a tooth coloured filling or a non-tooth coloured filling. Our dental practice in Watford always prefers to place tooth coloured fillings wherever possible, these are far more cosmetic and work just as well as the non-tooth coloured alternatives.